Sen. John McCain has brain cancer, and a tumor was discovered, according to his doctors. The 80-year-old Republican senator from Arizona was diagnosed with primary glioblastoma, a type of brain tumor, according to the Mayo Clinic, where he’s being treated. 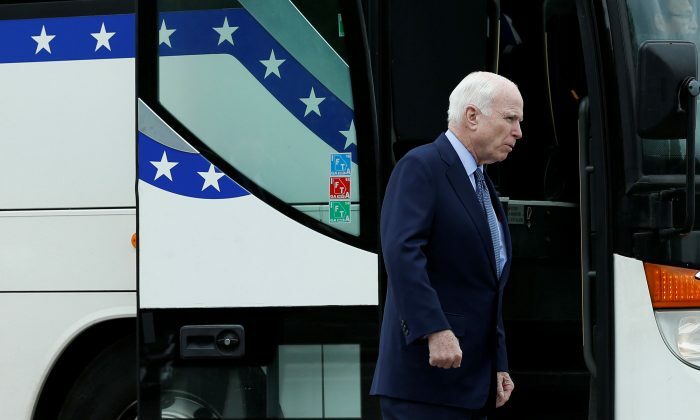 Over the weekend, McCain underwent a surgical procedure to remove a blood clot. Then, doctors discovered the tumor. The statement added that McCain and his family appreciate the support he’s received over the past several days. “He is in good spirits as he continues to recover at home with his family in Arizona. He is grateful to the doctors and staff at Mayo Clinic for their outstanding care, and is confident that any future treatment will be effective,” the statement read. According to the American Brain Tumor Association, glioblastoma is a particularly aggressive type of tumor that forms around the tissue of the brain. 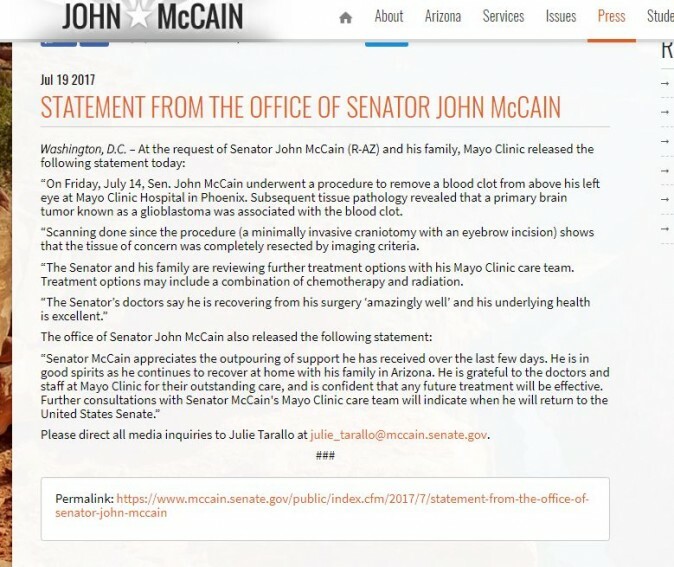 McCain’s doctors said that the Republican senator showed no neurological problems before or after the operation, CNN reported. He’s recovering at his home in Arizona.